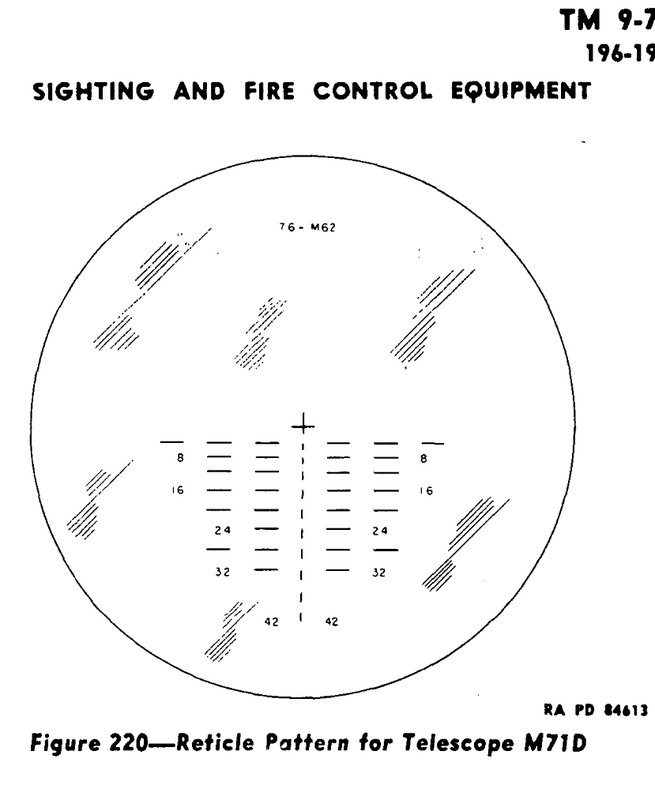 M4 Series Fire Control: Not putting out fires, what you look through when firing the guns! 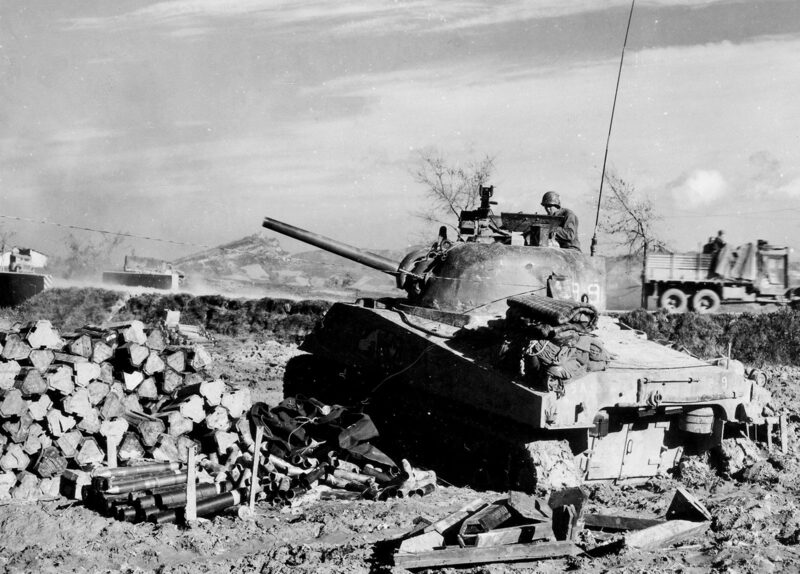 The Sherman tank went through a series of fire control changes each an improvement over the last. The first tanks lacked telescopic sight mounted on the M34 gun mount. 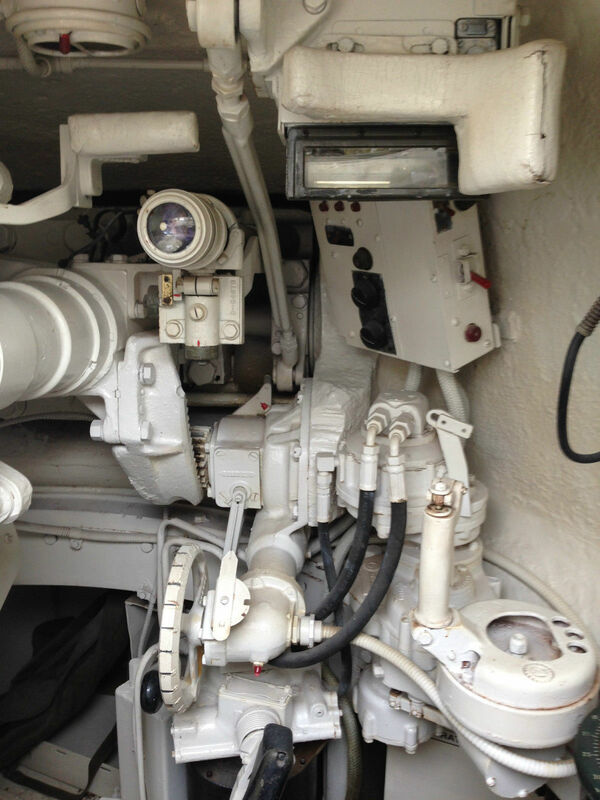 The only site was incorporated into the gunner’s periscope, and it wasn’t magnified. Since the periscopes were all interchangeable, updating the older tanks was easy, at least were the periscope was concerned, adding a telescope was a little more complicated. The final fire control setup the Sherman gunner had at his disposal in a mid to late model Sherman was pretty impressive by the standards of the time. 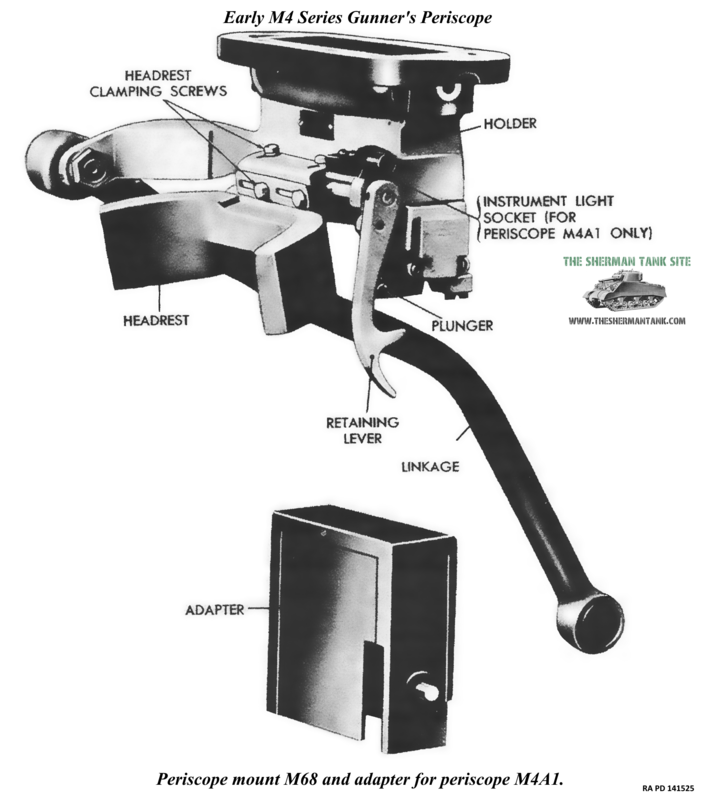 He was in a hydroelectrically driven turret that rotated fast; he had very nice periscope setup with 1x and 6x scopes hooked into the gun with strong linkage. 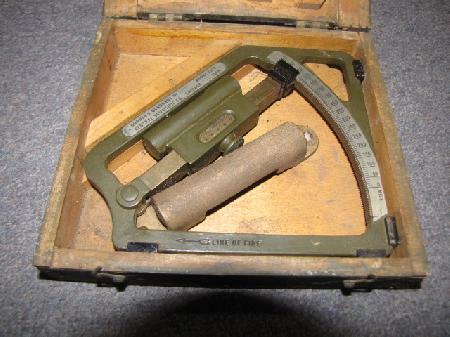 He also had a telescopic sight to work with and the gun was stabilized. 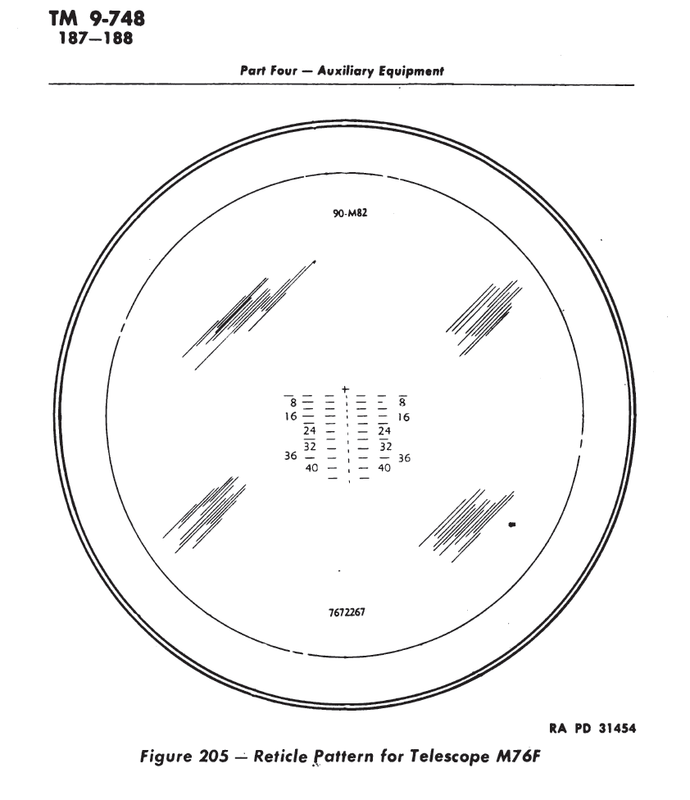 This was a vast improvement over the unmagnified reticle on the first production models. 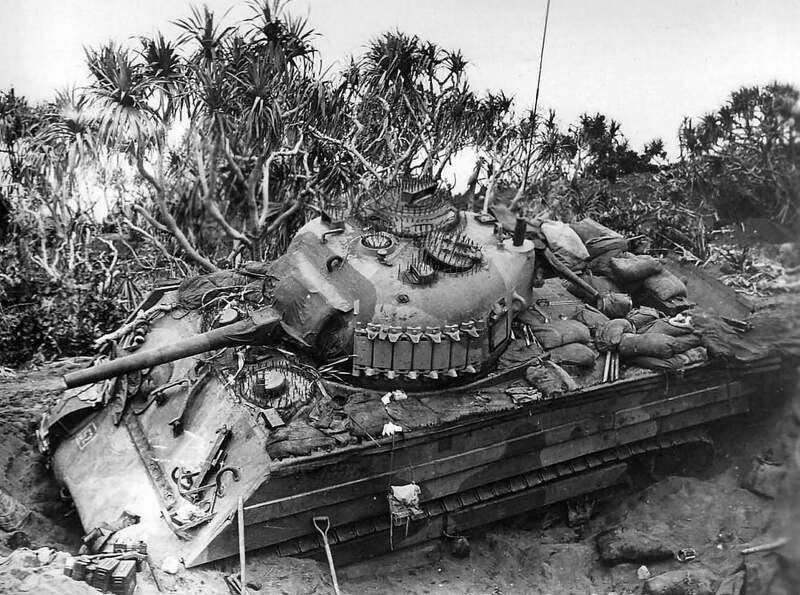 This coupled with the Sherman comfortable design made it a formidable weapon, even in amateur hands. The Lee used a unique setup; the 75mm gun was aimed with an M1 periscope, with an M21A1 periscope built into the mount. 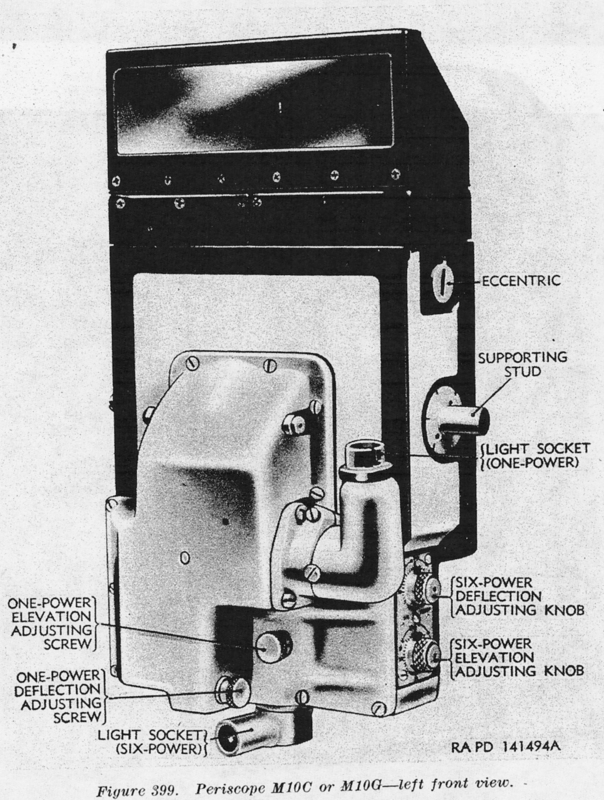 The 37mm was aimed with an M2 periscope with an M19A1 periscope built its mount. Both the 37 and 75 mounts were stabilized. 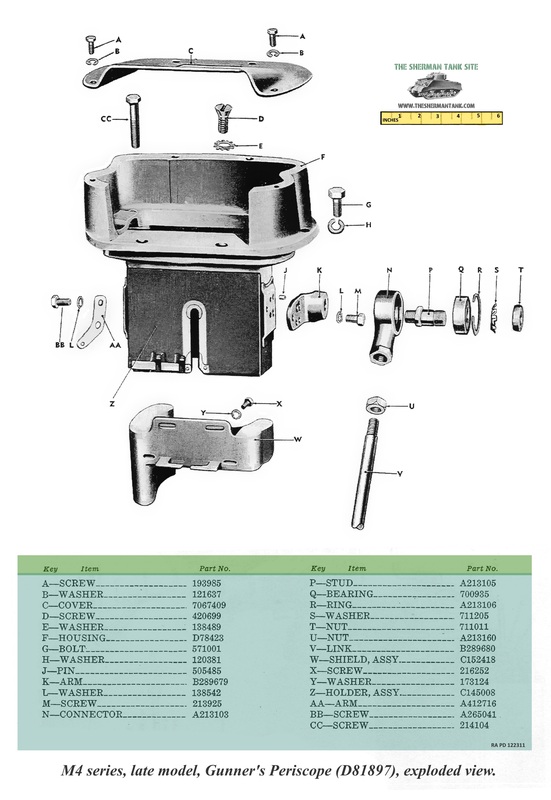 The prototype M6 Sherman used its own unique sight built into the sight rotor on the top of the turret, this was only used on a small number of production Shermans tanks. 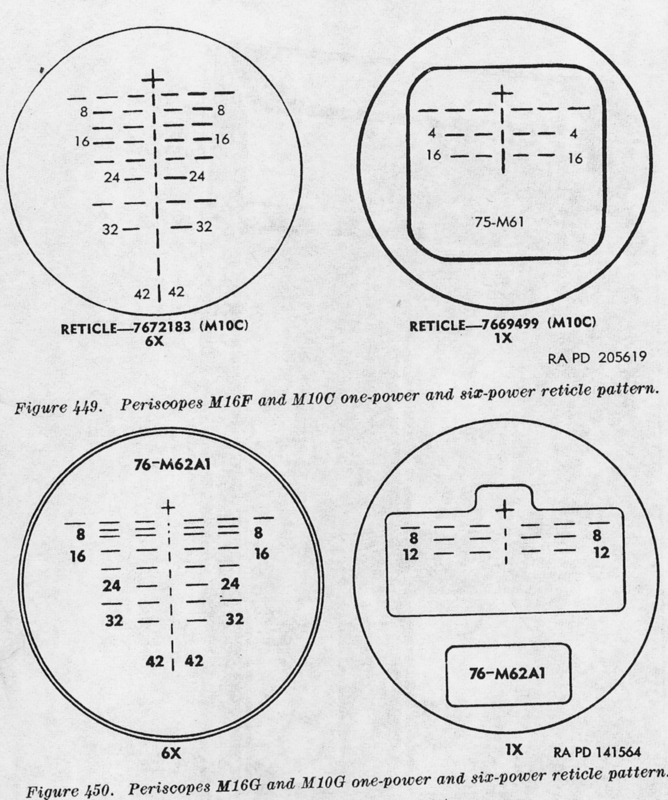 Since I just have a little info on this from TM 9-731B in the early M4A2, don’t have much to put here. Maybe this periscope is the one I’ve read about getting foggy on the inside in cold or humid locales. It was quickly replaced with the M4 detailed below. This was one of the non-magnified periscopes. 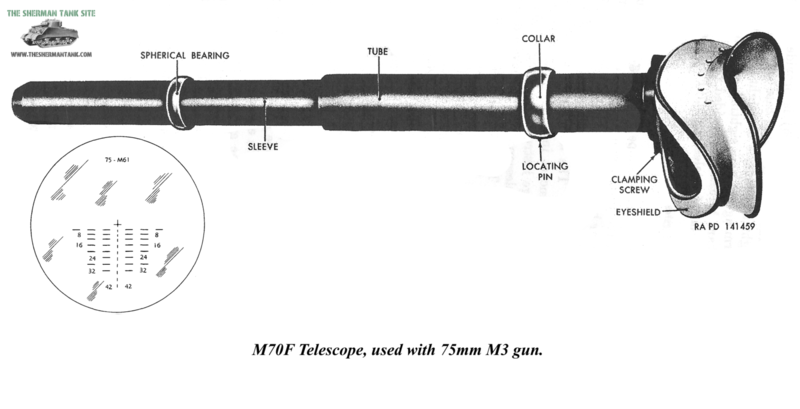 The Periscope M4; it had an M38 telescope with ballistic reticle inside, but no magnification. The M4 was not well liked, and the mount it fit in was made from sheet metal and was a little flimsy. The linkage that attacked it to the gun wasn’t very robust and could be knocked out of alignment annoyingly easily. On early Shermans, this was a big complaint, since they did not have a direct telescope yet. You couldn’t really take advantage of the M3 75mm guns range with this sight setup either since it had no magnification. 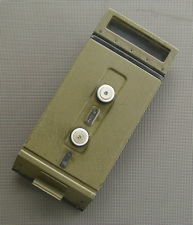 The later better periscopes like the M4A1 and M8 series would all fit in the old mount though. I do not have a pic of the M4 periscope right now. 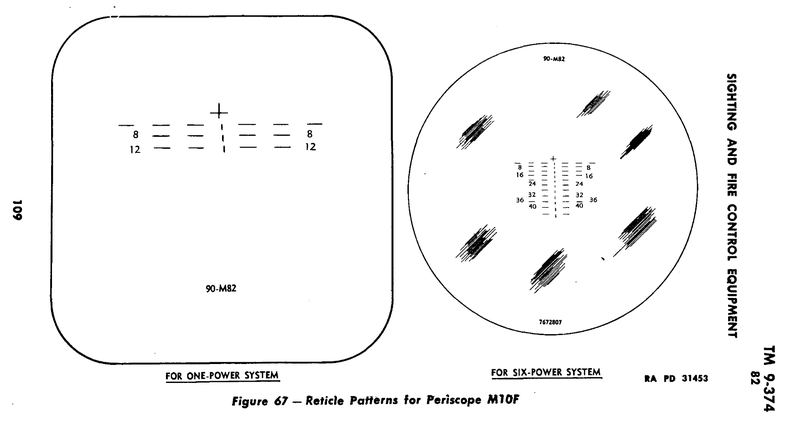 The M4A1 periscopes were replaced by the M8 and M8A1 periscopes. They were a lager tougher improvement on the M4 series and had the M39A2 telescopic reticle for use with the 76mm gun since it had the same reticle as the M47A2 used in the M4A1 periscope. 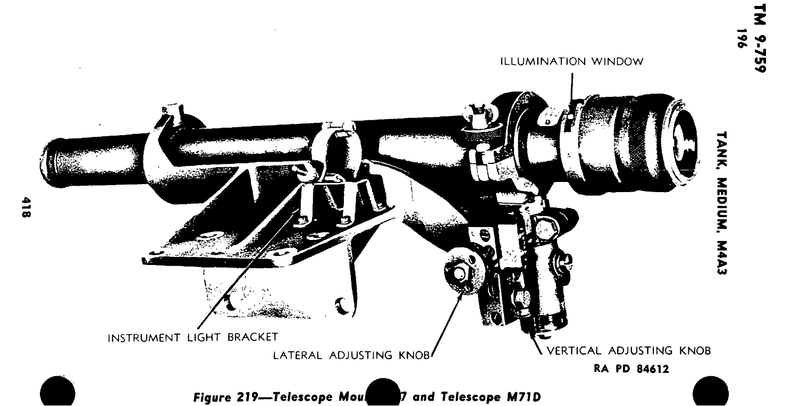 The M39A2 had 1.8x magnification and a 6-degree FOV. Even though at this point this was no longer the primary sight, the Army kept improving it. But the mount and linkage still remained an issue. 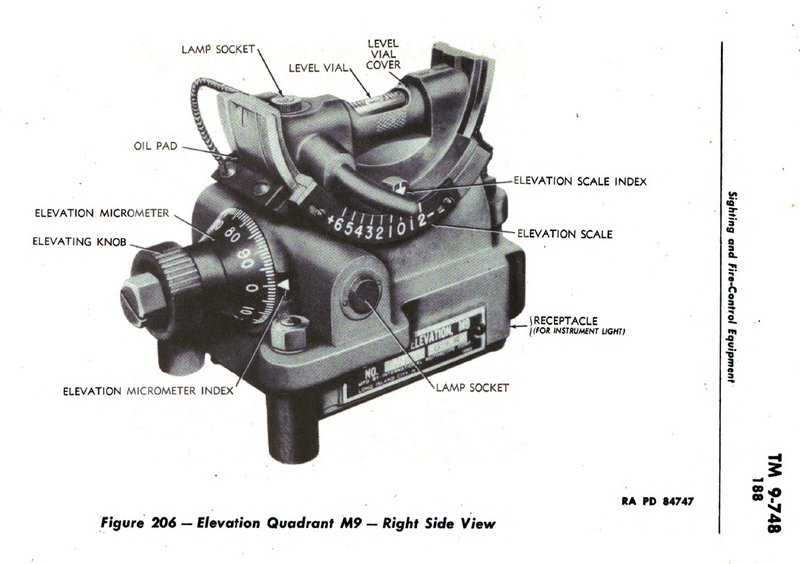 The Army came up with another new periscope sight system called the M10. They started issuing it late in the war around the same time wet tanks start appearing. 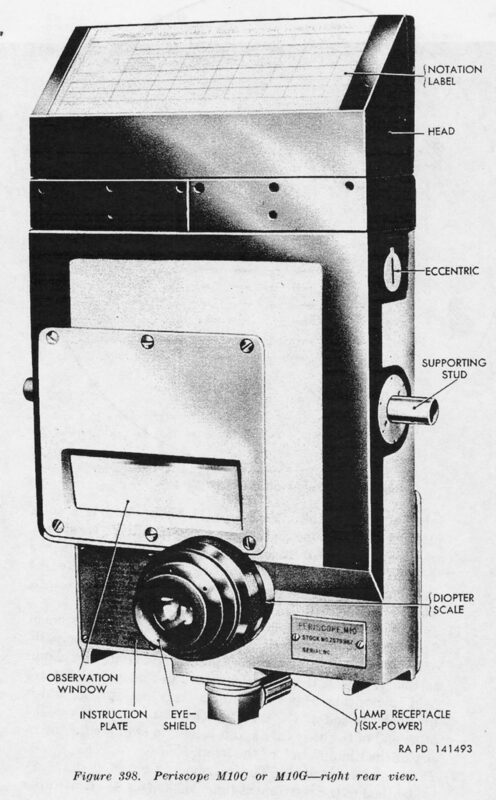 This was a much-improved periscope; it incorporated two telescopes with reticles, one 1.x, with a field of view of 42 degrees, ten minutes for engaging close targets. 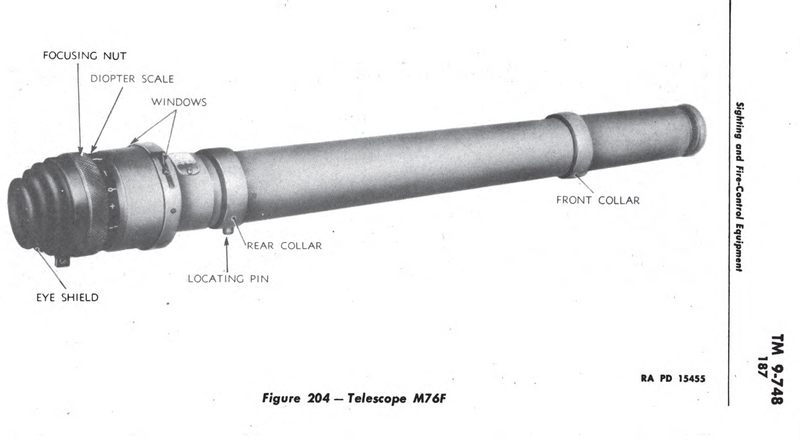 The second periscope had a 6x telescope with an 11-degree 20-minute field of view. 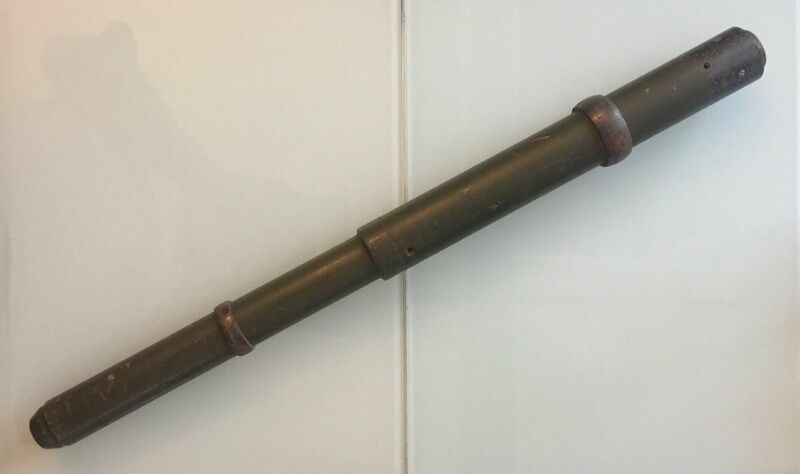 This periscope could be used with the 76, 75, and 105mm guns when the right reticle was fitted. 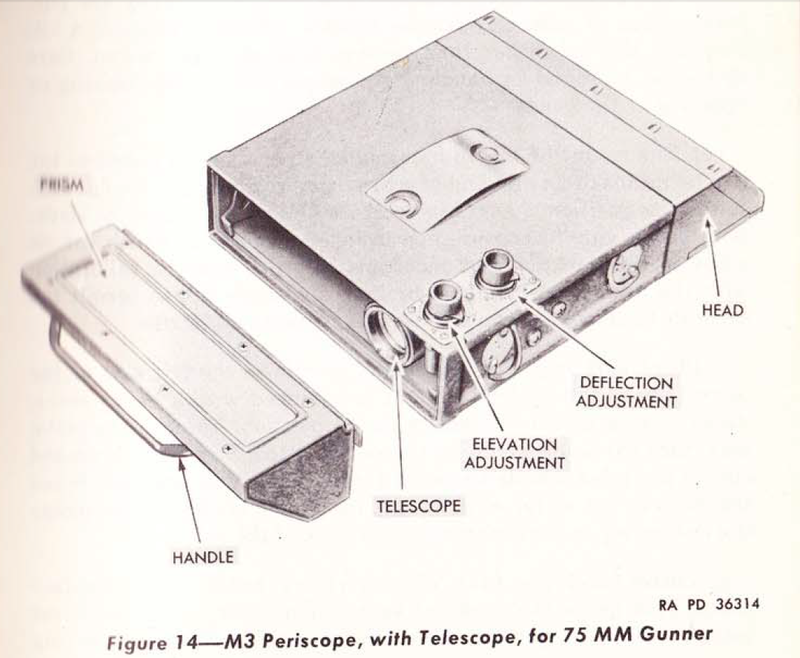 There was also an M16 periscope, pretty much the same as the m10, but with a reticle adjusting system. 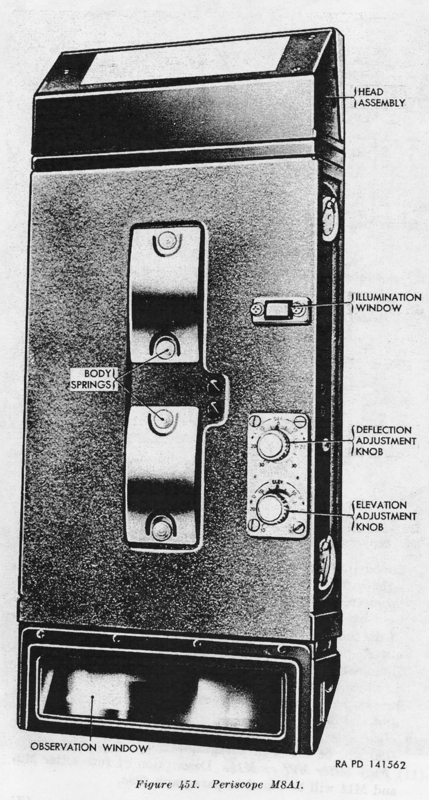 This improved mount was also incorporated into most of the post-war rebuild and overhauls. It is very easy to spot, by the heavy cast steel hood over the periscope hole. 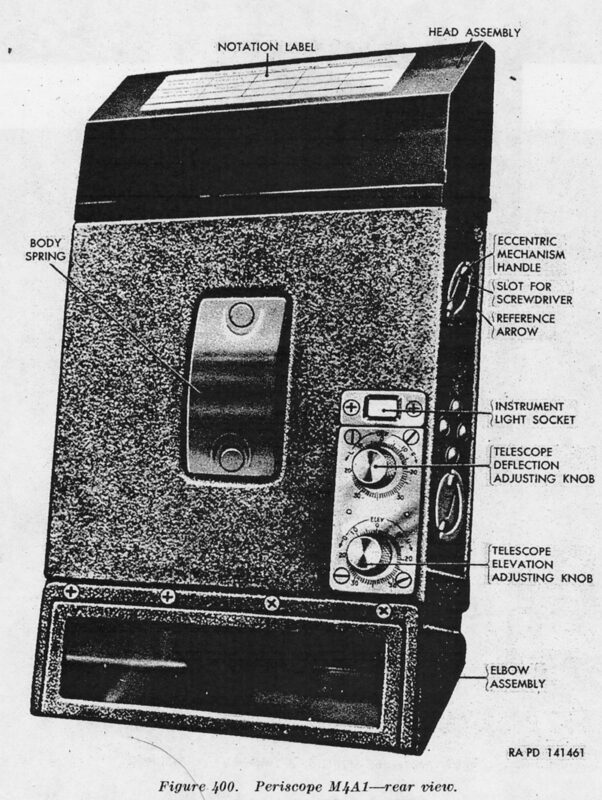 This telescope had 3x magnifications with 12 degrees 19-minute FOV. 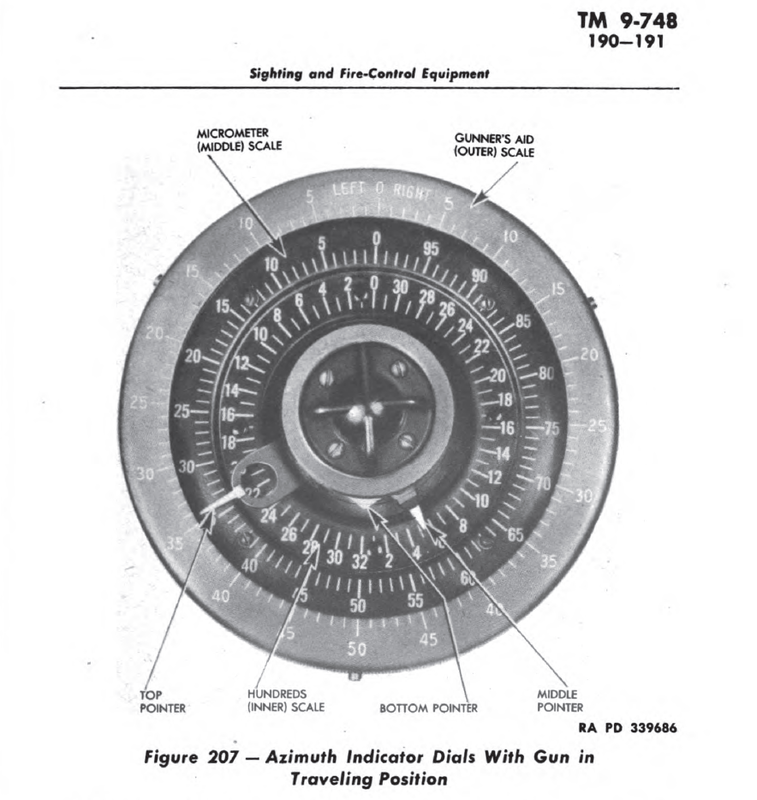 This sight was also used in the early production 105 tanks and most 75mm Shermans. 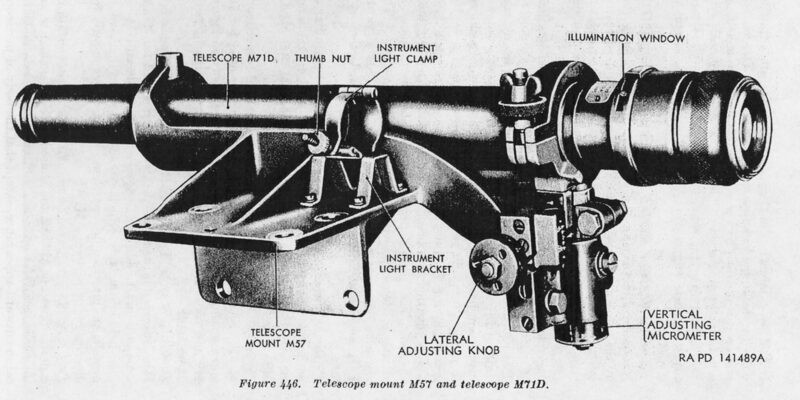 This scope had two settings, 4x 7 degrees, 40 minutes and 8x 4 degrees, 15 minutes, and M83D version of this sight worked with the 76mm guns when in an M62 mount. I have not seen this one mentioned anywhere but Hunnicutt’s Sherman book. That doesn’t mean it didn’t get issued as a replacement later in the war since I’m going off TM’s and spec sheets and those are a small snapshot of a tanks actual combat gear. 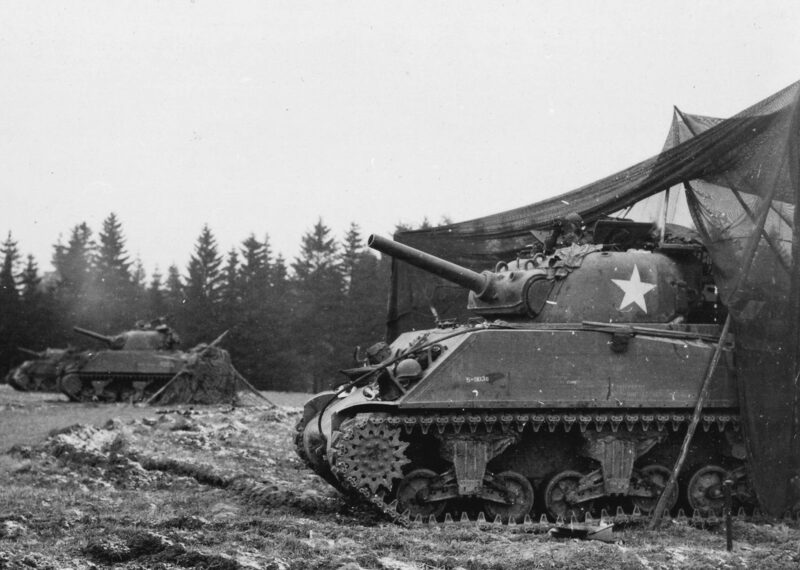 A Sherman unit trained in how to act as an artillery battery would probably be told they were on call when not in direct combat but close enough for the 75s to reach. They would have men manning radios in the tanks while other tasks were being done, like maintenance, personal things, and eating. 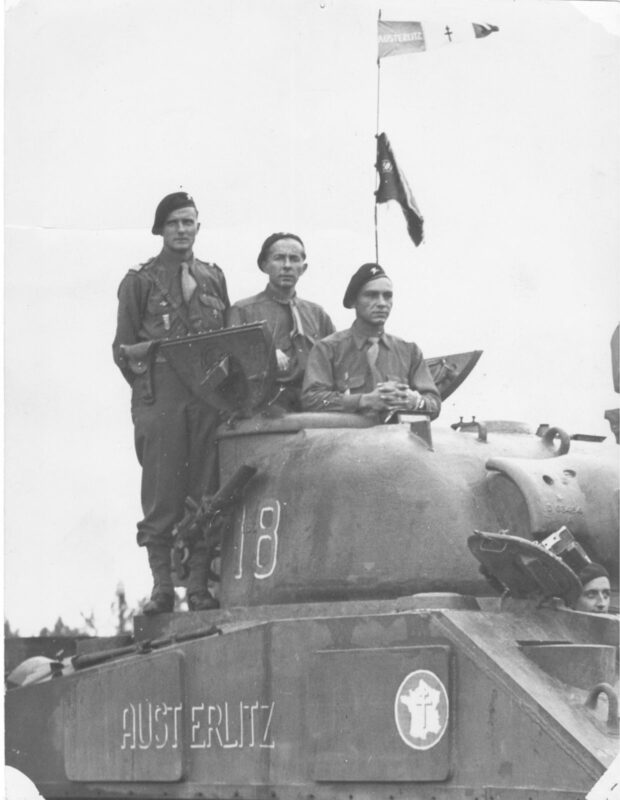 When they got the call, the designated battery commander for each platoon would listen to the directions on the arty net or get in direct contact with the spotter. In many cases they would be wired into the net directly, so they wouldn’t need to worry about radio reception. 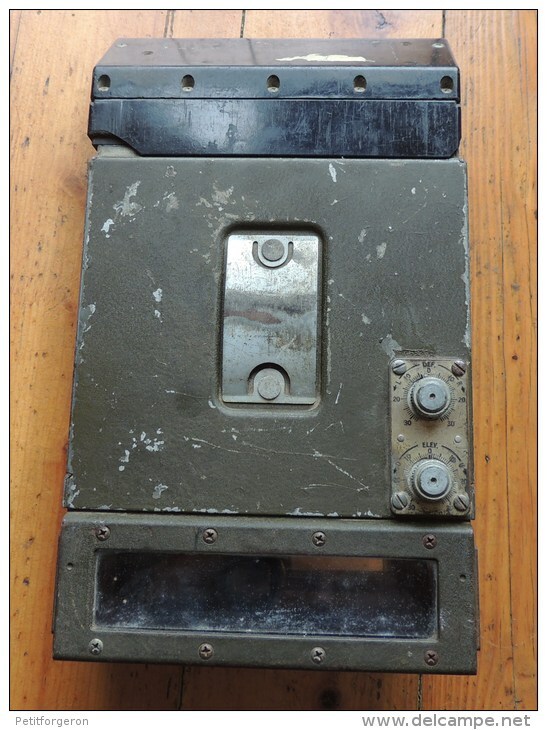 They would relay the aiming information out to the tanks on the radio or phone net and then they would start firing.